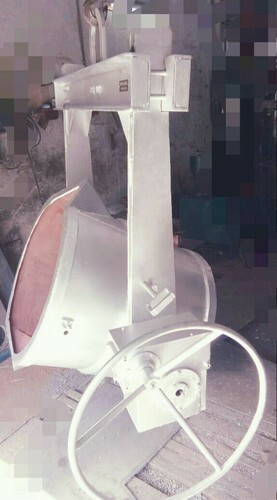 The NEELKAMAL foundry ladle heavy-duty ladles for all foundry applications. For ladles with a working capacity from 100Kg and up to 20,000Kg capacity molten C.I. / Steel. The NEELKAMAL ladle is intended for continuous use in all types of foundries and with all types of molten metal. It is designed to give long and trouble free service for many years whilst also being easy for a foundry’ s own personnel to maintain so that downtime is minimised. nSHELL: Ladles are constructed to rigid standards of durability with the high degrees of operating ease needed in crane ladles. Welded construction is employed throughout, while all of the structural parts of the ladles are built far heavier than is actually required, assuring long service life with low maintenance. Two heavy gauge pouring lips are welded to the Shell. nRefractory retaining rings provided for holding the lining. Vent holes are provided to remove gases. A locking device is provided to keep the ladle vertical during handling. nTilting Mechanism : Specially designed Worm Reduction Gear Box with inbuilt bevel gear unit for Ladles upto 7 Ton capacity and Double worm reduction gear box for higher than 7 Ton capacity. Superior quality Worm Wheel made of Phosphorous bronze and Worm shaft made of Alloy Steel, hardened-grounded for long term trouble free operation. nTRUNION The NEELKAMAL ladle is fitted with bolt-on trunnions as standard. This has advantages over trunnions that are welded directly to the ladle shell. nIt reduces heat transference from the ladle shell to the sidearms and gearbox, thereby reducing the likelihood of parts becoming tight due to thermal expansion. nIf a trunnion gets damaged or worn, it then becomes a relatively easy task to replace the bolt-on trunnion by the foundry’s own maintenance team. nSelf-aligning, antifriction bearings are used in the trunnions nBAIL These ladles are provided with a square bail having a double channel head beam with crane lifting loop and heavy steel bar bail arms. Ladles are designed to hang plumb when filled and will tip slightly toward the tilting mechanism when partly filled or empty.